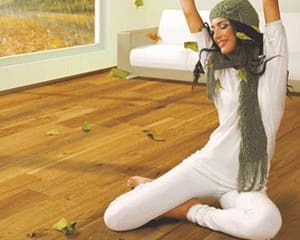 When it comes to wood flooring trends, wooden flooring has never been more popular. 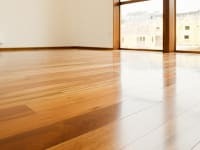 If you are considering installing a hardwood floor in your office or home then you might want to take note of these trends. Solid wood and engineered wood are increasingly being used for both new-builds and make-overs as their beauty and flexibility are being evermore recognised by the interior design industry. We have been tracking Wood Flooring Trends through 2017/2018 where a distinct rise in the demand for darker wooden floors with materials such as, Herringbone Parquet, Mosaic Parquet and Coloured Distressed Oak have been seen to be extremely popular. Dark woods have a luxurious appearance and opulence. 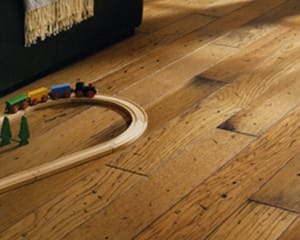 This is one of the most significant wood flooring trends emerging this year. The 2018 trends clearly show that dark wood flooring is being used to emphasise interiors, particularly where the goal is to create striking contrasts. Dark wood absorbs light but can still be used very effectively in small spaces where walls and fittings are of a lighter colour. 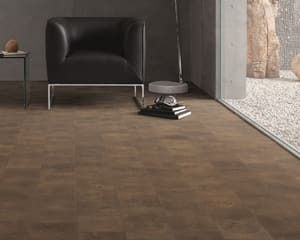 Simon Patel of Maples & Birch stated; “If you look at flooring trends, people very much want to use their homes to create a sense of individuality. Balanced contrasts are both appealing and captivating to the human eye.” Dark woods also tend to have a strong grain and retain their colour well over time. One of the big wood flooring trends for 2018 is the move to engineered wood. This material offers all the natural beauty and functionality of solid wood but is more practical and cost effective to install. 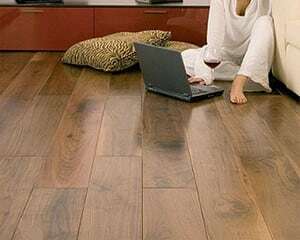 These wood flooring products are manufactured to exact specifications and are tested to conform to international standards. 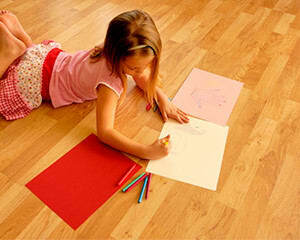 Engineered wood flooring uses a high quality section of solid wood and bonds this to a substrate of ply, thus creating a floorboard with superior strength and resilience to stress. 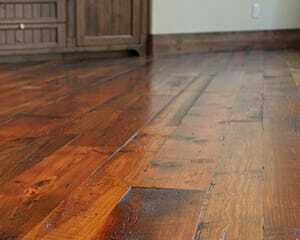 The thickness of the natural wood is significant and can be sanded and refinished where laminate bases cannot. 2018 is the year for being different. 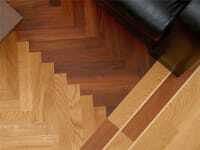 The range of wood floor options has established trends for originality and experimentation. 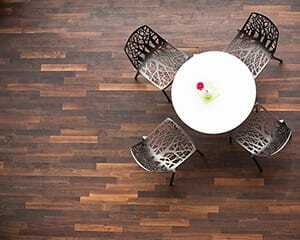 Wood has a timeless appeal and the availability of exotic engineered woods means people can now match their floor to their furnishings in a practical and inspirational way. The use of uniform grains and light colour woods, such as Acacia, can be used to create a sense of space while the striking tones of Mutenye create exiting eye-catching patterns ideal for studies and kitchens. 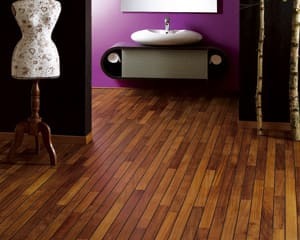 Changing trends in the use of wood flooring mean that more and more people are realising that it is possible and practical to have wooden floors in bathrooms, even extending this from an en-suite right out into an adjoining bedroom to create that international look and feel often seen in Norway and Switzerland. Engineered exotic woods that are naturally water resistant are bringing a warmth into bathrooms that marble and tiles just cannot offer. We hope you found our insights into Wood Flooring Trends useful. You are always welcome to call us at Maples & Birch to discuss your needs and find out even more about exotic hardwood flooring. Click here for our Wood Flooring trends 2019.